A few days ago I ranked all of my favorite nominees without saying much about the choice. Well, a few coworkers and I were discussing who might win this weekend and we all made our cases for our favorite films. I’m going to do the same here. Don’t consider this a “who will win” post, but why I would vote a certain way if I even had a vote. I’m going to sound pretentious and I don’t care. I have been waiting for Boyhood to come out since 2003. School of Rockcame out – and as cheesy as it sounds – changed my life. I really got into classic rock thanks to the film, started playing bass (poorly, I might add), and then really refocused my musical taste to become the indie loving guy you know (and hate) today. Anyway, I turned to Wikipedia to discover Richard Linklater directed the film. Then I discovered the Beforefilms and his quirky off-beat stoner/existential films. In there somewhere was a piece of information that he started a 12-year project. I kept up with it from time to time and finally, on a hot day in the middle of an Arizona summer, I saw his magnum opus. The point is, I was ready to say that this beautiful look at growing up was going to win Best Picture. Boyhood made me so reminiscent of my own life that I drove home with my then-girlfriend in silence. Not discussing the film like I normally would. Just silence. Boyhood was my Best Picture winner. A lot of people feel Birdman succumbed to the very problems it was trying to criticize: sexism, egomaniacs, self-indulgence, etc. I don’t think it fell down the rabbit whole the same way I don’t think The Wolf of Wall Street glorified that lifestyle. The films were supposed to make you hate what it shed a light on. Birdman went on too long. About 15 minutes. But so did every other Best Picture nominee (more on the inability to craft stories in a concise time in another post). Even with a few dragging moments, I thought the story was well written. Plus it had all of the performances it needed. Yes, any washed up actor could have played Keaton’s role, but they didn’t. And he did a phenomenal job. I honestly think Edward Norton and Emma Stone had the best acting roles in this, and it’s a shame they won’t win (more on that later). Aside from the cohesiveness of the acting, it goes without saying that the fake tracking shot throughout the entire film was great. It may be a one-trick pony, but so was The Artist, which ended up winning. 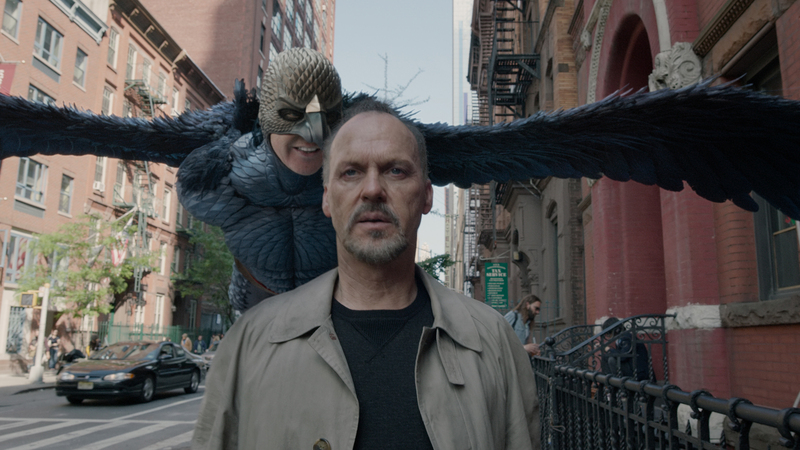 All in all, I think Birdman was just as original as and maybe a little more creative than Boyhood. It wasn’t a biopic, which have dominated the landscape of Hollywood (along with superhero films) for the past couple of years. It may have been slow, but it was intriguing and not boring in the slightest. Even though I just laid out why Birdman was the film I considered best, I don’t believe Alejandro Gonzalez Inarritu should win Best Director. His direction was terrific, and maybe the best. But did you just read my love affair with Linklater? I think what he did is amazing. Crafting a film over a decade long took patience and a skill that not many directors would even attempt to do. Linklater has pushed boundaries before, but not like this. Again, it may seem gimmicky, but it really isn’t. It’s just a new way to show a family growing. Instead of hiring new actors to play the child and “aging” the parents, Linklater tried something new. My only bone to pick with the film is that it’s called Boyhood. Originally it was going to be called 12 Years, but was changed once 12 Years a Slave became so famous. In my opinion, the film is more than just a boy growing up, it’s about a family. Sure, the boy is the anchor of the film, but when I watched it, I noticed it was really just about 12 years in one family’s journey. Considering that my only insane and out of left field problem with the direction of the film is its title which isn’t even bad, you can see why I appreciate Linklater’s efforts. I may have alluded to it already. Anybody could have played the lead in Birdman. It was a washed up actor playing a washed up actor. But the thing is, they didn’t; Michael Keaton did. And he played it perfectly. Eddie Redmayne did a terrific and transcendent job in portraying Stephen Hawking. He portrayed Hawking’s deterioration beautifully and respectfully. But, as my coworker points out, he does the same performance for two hours. It’s one of the all-time greats and I won’t be surprised if he wins, but I have my reasons for not picking him to win. Over the past year, I have become weary of performances winning for simply mimicking real people. I understand that it takes skills to hone into someone’s psyche and soul. I get that Daniel Day Lewis as Abraham Lincoln was the best performance that year, but only because he blew everyone out of the water. Same with last year’s winner, Matthew McConaughey. They were leaps and bounds better than the rest of the field. This year, I feel it’s a little closer. Michael Keaton created someone out of nothing (save his own experiences). He didn’t have any footage to copy, or the chance to meet who he was portraying to study the little things. That’s why I have to give the edge to Keaton instead of Redmayne. Or even Bradley Cooper. They had a chance to study. Keaton had nothing but creativity. Usually I hate runaway winners. However, once I saw Still Alice I knew that Julianne Moore would finally win the Oscar she so rightfully deserves. Not only that, but I knew the scene that every award ceremony would showcase to highlight her skills. It’s the scene where she wakes up in the middle of the night to frantically discuss something with her husband. It’s the best scene of the film and the best performance – by a male or female – on screen this entire year. 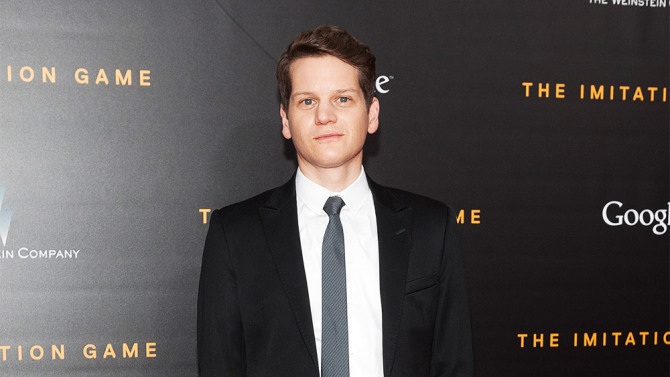 Moore’s performance was backed with a lot of emotional connection that some of the other roles may not have had. However, it isn’t because of this that I would vote for her. I’m not clouded by how sad the story was and am not giving her the vote for shedding light on Alzheimer’s. I feel a lot of times people have been nominated simply because they portrayed something that has never been portrayed before. It’s not that in this case, though. It truly comes down to the fact that Moore is one of the best actresses alive. This is still honestly and sincerely a tossup for me. 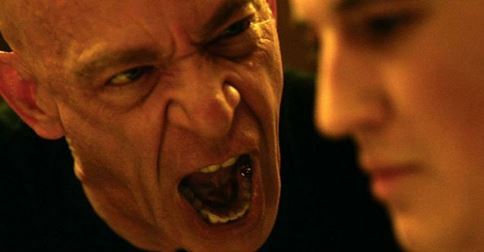 The only reason I list JK Simmons over Edward Norton is simple a cop out. I know he’s going to win because every precursor award ceremony has told me so. A criticism against him is that anyone could have yelled and slapped and had veins pop out of his head. 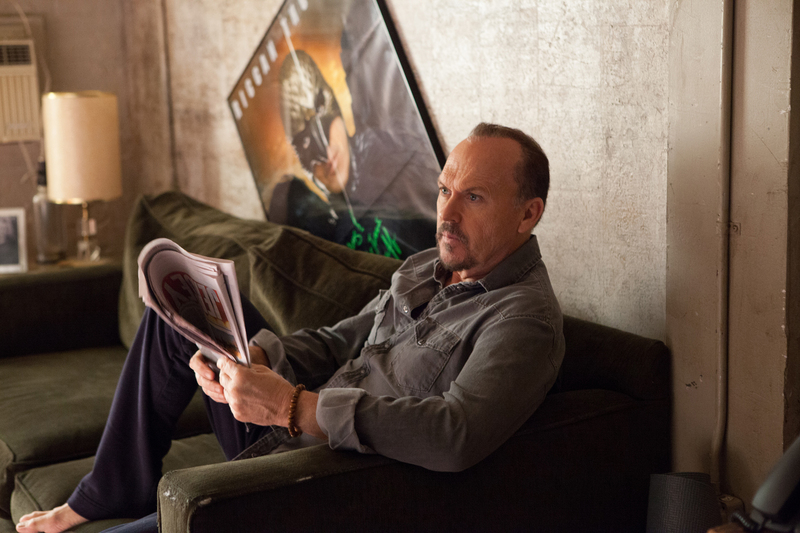 I think Norton had more poignant scenes and had to act for a longer period of time thanks to Birdman’s style. However, there was the wrinkle of intensity that Simmons had to bring to the role in every single scene. Sure, anybody could yell, but Simmons was in the role. And sometimes the acting awards do simply go to the best role, like I mentioned above. This is simply the same case as above. Patricia Arquette is going to win simply because everyone has already said so. Never mind that Emma Stone had more range to her role. I’m not taking anything away from Arquette. She did a masterful job in Boyhood and is one of the reasons I truly believe the film isn’t just about a boy growing up, but a family. Arquette was the best thing about Boyhood. Watching Ellar Coltrane grow up was amazing and unmatched in any film I’ve seen. Yet, it was still the mother’s arc that carried the emotional weight to the film. 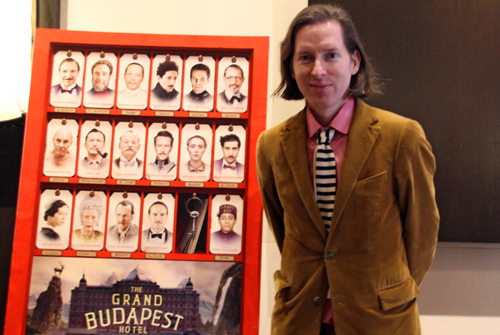 I think I list Wes Anderson and Hugo Guinness’s script ahead of the others just because of my affinity with Anderson. It was the more original story. It was quirky and unique and did not replicate any of his other works. I honestly do thinkBirdman’s script was completely original and how Boyhood’s was unique by how it was crafted. Yet, there’s something that warms my heart about Anderson’s. Maybe it’s really just because I want to spread the wealth among films. I wrote that I thought The Imitation Game was the Best Adapted Screenplay. It’s true, I do like it. I like the layers of stories that were constructed throughout the film. I guess I won’t be upset if it loses though. The truth is, until I actually posted the list on my blog, I had Whiplash as my favorite. I think it was well-crafted and it produced one of my favorite films. My only problem with it was that the ending seemed out of place. Like there were scenes added to help wrap up stories. It was a little jarring – and long – but it didn’t deter me from being torn between the two films.